Ruff, rugged and raw. Mentioning Marcel Dettmann as well as his feeling for and vision of electronic music, his way of dealing with it, is impossible without these attributes. Whether you take his DJ sets (Marcel has been made a resident DJ at the old Ostgut and also at Berghain from the very start), Dettmann's productions for the self-conducted MDR label, his remixes for the likes of Fever Ray, Junior Boys, Modeselektor as well as Scuba, or if nothing else his debut long player for Ostgut Ton into account, all the various contrasts and distinctions that come with it are manifested in these qualities. Techno as Marcel Dettmann defines it, is neither a movement without history nor wistful nostalgia. In the hands of the Berliner, the well-known game of hi-hats, bass lines and kick drums draws its tension and momentum from a historically grown tradition and the conscious decision to break the rules. Reformation and solid construction outplays the use of any gimmicks. Dettmann pours Detroit's oil into European engines, puts British bass music under the control of Chicago's very own Jack, cuts classics with abstract nuances and connects yesterday with tomorrow and today. In the unrelenting manner of a great DJ, he generates moods and connections that are age- and classless, but never irrelevant or tasteless. Marcel Dettmann links up the art of improvisation with careful preparation and finally gives techno some of its often painfully missed serious physical constitution back. Hoe persoonlijk en educatief kan een mix zijn zonder dat het saai wordt? Laat zoiets maar aan Marcel Dettmann over. Gedurende zo'n 75 minuten loodst hij ons aan de hand van 19 voor hem belangrijke en inspirerende platen door 2,5 decennia aan techno en vooral electro. Fabric 77 brengt jullie de resident DJ van Berlijns Berghain club. Deze labeleigenaar van MD Records en producent van menig EP op "Ostgut Ton" is een graag geziene gast op de grotere techno-raves, maar ook een sfeermaker in de kleinere intiemere clubs. 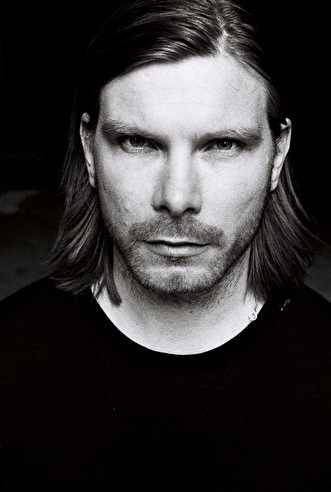 Ladies and gentlemen, we give you: Marcel Dettmann. Staatsballett Berlin en Berghain. Twee wereleden die mijlenver uit elkaar lijken te liggen, maar toch de handen ineen sloegen. Een balletvoorstelling in industriële setting op de muziek van Henrik Schwarz, Marcel Dettmann, Frank Wiedemann, Marcel Fengler en Efdemin. Dat kan alleen maar spektakel opleveren, toch? Lekkerste techno set ooit op Lowlands! Hij draaide echt geweldig in de Trouw, 10 uur lang non-stop top muziek.­ Held! Met Ben Klock een fantastisch b2b duo! Baas op Awakefest met ben klock!! ding dong dettmann, wat een held! heel vet met Klock samen!